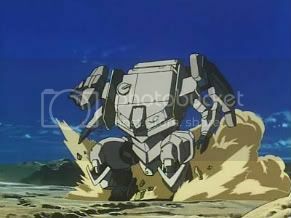 The Gowa family have an ancient connection to some supernatural power which allows certain members of their clan to operate enormous fighting robots. 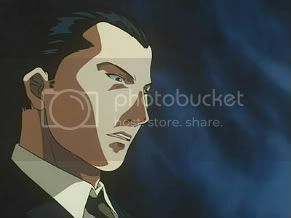 Sometime in the near future, the head of the Gowa family conspires with various conservative fanatics to subvert Japan's democratic government by taking advantage of tensions created by increasing populations and dwindling food supplies and by making use of the enormous robotic suits developed from his family's special weapons. Meanwhile, a multinational corporation opposed to the Gowas, and with an agenda of its own, is developing weapons similar to theirs. 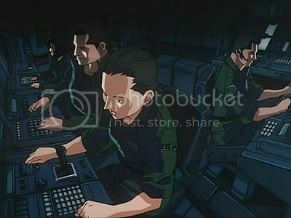 Although Ryousuke Takahashi's twenty-five part animated series Gasaraki begins very slowly and only gradually reveals its characters as more than automatons performing various military functions, once the narrative starts to unfold and the characters emerge as individuals, the series becomes both exciting and emotionally affecting. Gasaraki's protagonists and antagonists are alike intriguing persons. 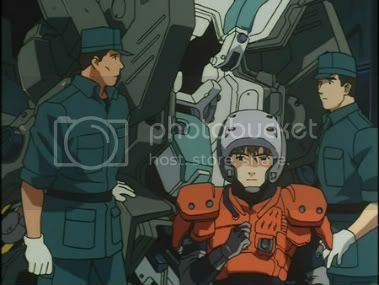 Both Gowa Yushiro and Miharu, the chief pilots of the robotic suits built, respectively, by the Gowas and the corporation opposed to them, emerge as sympathetic, likeable individuals, and the viewer is readily able to engage with them. Admittedly, most of the villains are gratuitously evil, but a few are developed as more complicated persons over the course of the series so that they become as interesting as are the protagonists. Such development, I might add, enables the viewer to understand why several decent individuals in the series sympathize with and are influenced by them. In contrast to the generally dull introductory episodes, which play out like documentary footage of some war, the bulk of the series focuses on the personal struggles of these characters, especially Yushiro. As he becomes aware of and must deal with his past, the mysterious powers controlled by his family, the plots of his elder brother, and so on, the viewer is increasingly made to feel his internal turmoil and, consequently, to become involved with him. In fact, his struggles are genuinely affecting and fascinating. 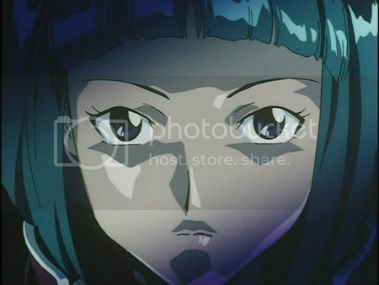 Miharu and Yushiro's sister Misuzu also emerge as sympathetic characters, although neither is as well developed as is Yushiro. The series does not, however, consist only of such dramas, but also includes a fair number of action sequences, most of which are genuinely exciting. 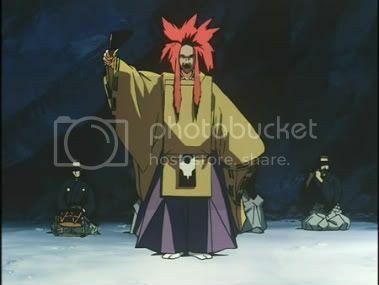 Although those included at the beginning of the series are given entirely too much emphasis, so that they overwhelm the narrative and prevent the viewer from engaging with it, once the narrative has begun to unfold, the depictions of combat are made to serve it and become far more interesting as a consequence. I should note at this point that Gasaraki was clearly inspired by Neon Genesis Evangelion, but it is actually a far better program. While Evangelion is burdened with nonsensical, superfluous Christian references, Gasaraki draws on Japanese traditions, as No drama, and uses these elements as integral parts of its narrative. 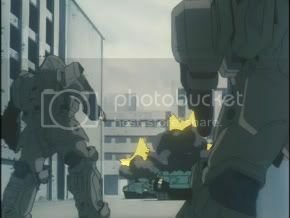 Moreover, whereas the makers of Evangelion made incessant vague attempts at profundity without ever incorporating any of their cryptic ruminations into the story in a satisfactory way, the makers of Gasaraki show far more restraint, and their own attempts at profundity, while not wholly successful, are not annoying and foolish, as were the efforts of the makers of Evangelion. 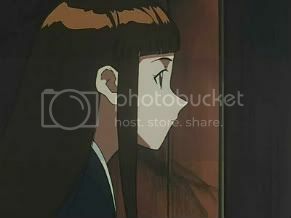 Somehow, they manage to lend a real sense of mystery and awe to a large part of the series, which greatly enhances its emotive impact on the viewer. The production of this effect is generally helped by the program's visual qualities. Most of the animation in Gasaraki is decent, even accomplished, although it is not generally particularly impressive. 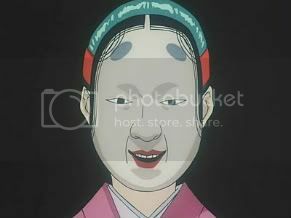 At one point in the program, however, when the story shifts to a depiction of events which occurred several hundred years prior to the central narrative, the series' usual visual style gives way to an extended sequence of images of often remarkable beauty. Unfortunately, as lovely as is the fascinating animation found in this interlude, it is never included in the main story. Despite its lethargic beginning, Gasaraki is an appealing, enjoyable, well made series filled with a variety of engaging adventures. © 2004 movierapture@hotmail.com Keith Allen. All rights reserved.